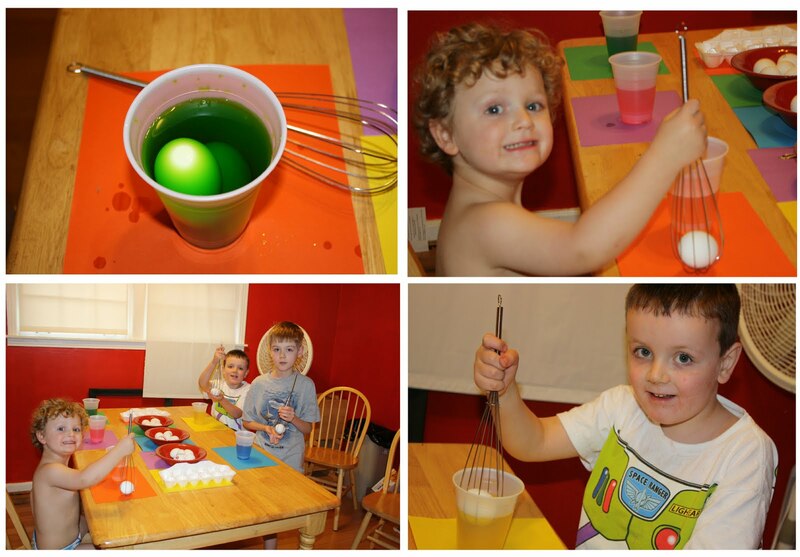 The boys coloring some beautiful one-of-a-kind Easter eggs. 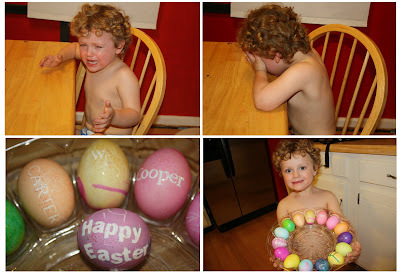 Cooper suffers from three year old mood swings and was devastated that we finished all the eggs, but in true mood swing fashion he was smiling in .4 seconds! 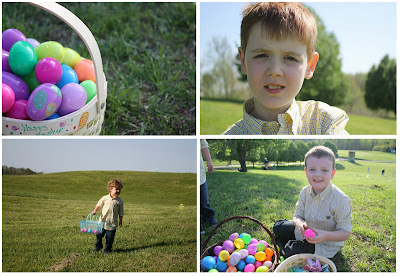 We actually had our Easter Egg Hunt last Sunday since Wesley was having surgery on April 20th, and would be unable to participate this weekend. 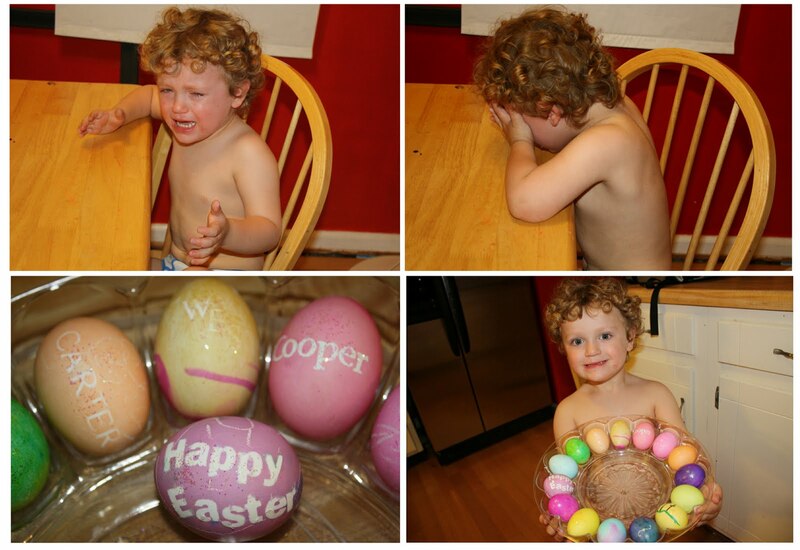 I love my family so much for arranging an early Easter for him! 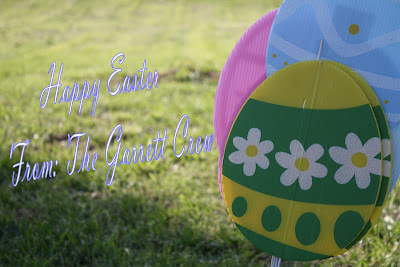 Amongst all the fun and Easter celebrations may we all take the time to truly remember why we celebrate this Holiday! "He is not here: for he is risen, as he said. Come, see the place where the Lord lay." Matthew 28:6. Christ love is precisely something worth celebrating! I am humbled, and thankful for his grace, truth, joy, and love that He has shown me. Wishing everyone blessed and Happy Easter this beautiful Sunday! Hope your Easter was just as blessed as ours was! We opted out of the egg dying this year and made the Resurrection Rolls instead...the kids LOVED those. Cute pictures! I love your Easter quotes, too. Another one I heard on Sunday was, "His grave is empty so you don't have to be." Love it!